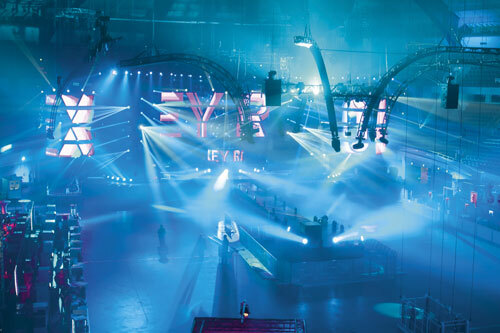 Glamotion is the German-Russian megaevent of the year. 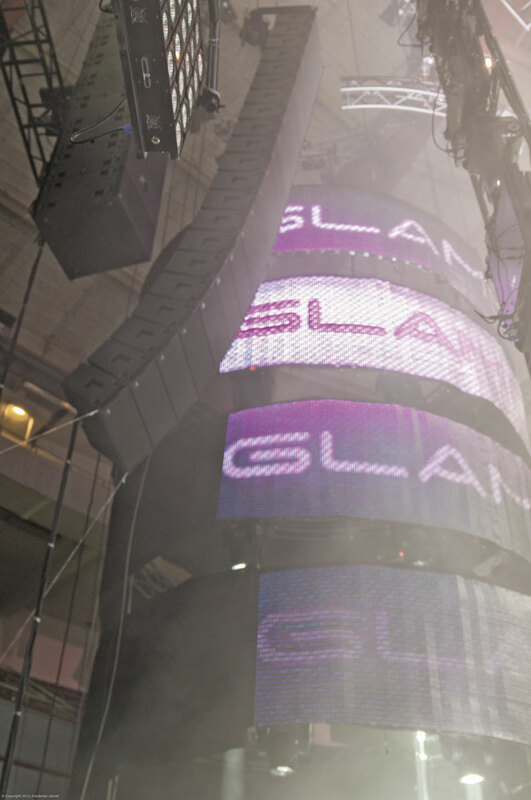 For the fourth time doors were opening to the world of GLAMOTION – party, music and show. 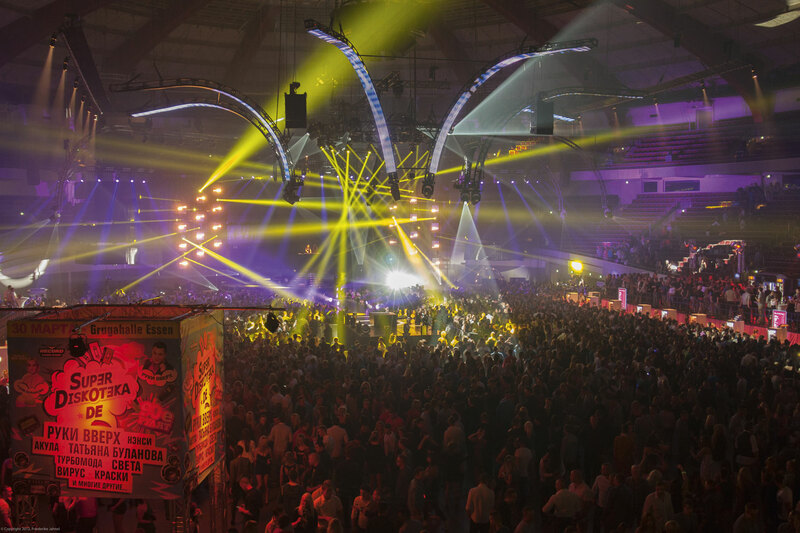 Thousands of people from whole Europe moved in order to hear, to feel and to experience what‘s new in the electronic music scene. In total 62 SEQUENZA 10 N/W with 18 flown SEQUENZA 10 B on the left and on the right were integrated in the stage nearly invisibly. 36 NOMOS XLC ensured a powerful bass making the public tremble. 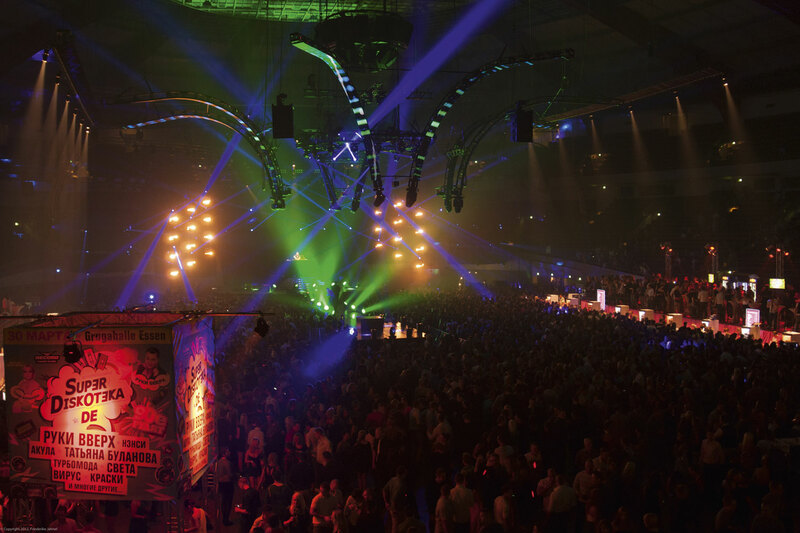 “We were able to position all NOMOS XLC continuously in a line under the stage, so we obtained a good coverage, and there was no need to experiment with different delay times.” For the sound coverage of the tribune at the head of the hall, a delay of 4 SEQUENZA 10 supported the perfect coverage on the left and on the right. 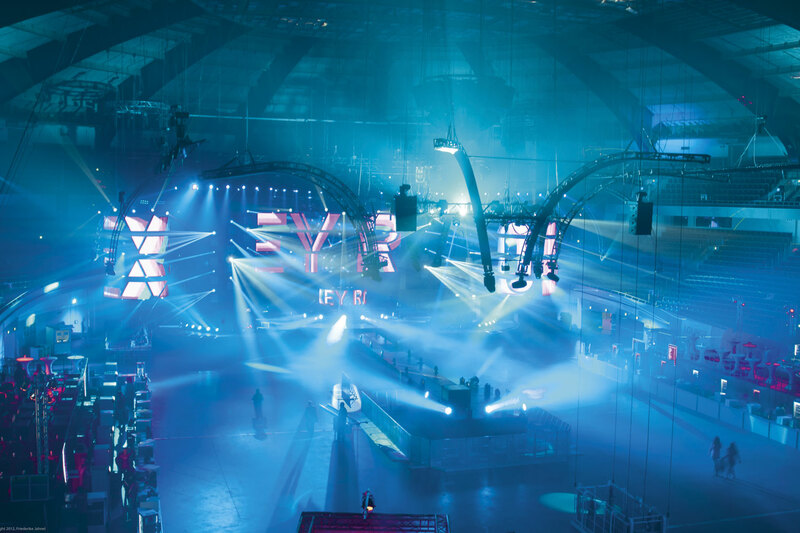 “The complete hall was covered by the main soundsystem next to the stage”, the responsible system technician proudly reported. 40 models which were stimulating the guests by their high-class dancing performances and costumes brought life into the virtual reality. In 2012 the Glamotion was a full success once again.